2018 has been a great year that’s seen many standout games been released. For me, after finally buying myself a PS4, I have been able to play a number of new games that I was never able to play before. Story has always been very important to me in video games as this, alongside well written and likeable characters, are what many people will often remember long after you’ve finished. Without further delay, let’s get into talking about my 6 favourite games of 2018. I have never been a fan of Spider-Man, I didn’t like the Tobey Maguire movies and only started to like him because of Tom Holland’s portrayal. Also never reading the comics, I don’t know much about the marvel universe in general. However, this game really surprised me and made me love the character. The movement and combat were fun and engaging, the characters were very likeable and the story was very gripping. This is accompanied by incredible graphics that help bring these characters to life. The number of moves and gadgets make the combat continually satisfying even in the repetitive and uninspired side content. Speaking of which it isn’t without its flaws and there are a few, mainly the side content. While the main missions and story are great, it’s clear that this is where most of the effort went. The side missions are very repetitive and not much more than busy work to extend the play time of the game. While there are some interesting side missions, these are far and few between. Lastly, it’s a shame that the majority of the boss fights are squished into the final sections of the main narrative, it would help the pacing and design if they were more spread throughout the campaign. However, this game is still very good and I thoroughly enjoyed it. The final part in the rebooted trilogy ends on a high note with the darkest and most exploration focused in the series. Lara is tasked with stopping an apocalypse she inadvertently set in motion. Her, alongside Jonah (who seems to change ethnicity every game), travel across hidden villages, lush forests and claustrophobic tombs. Speaking of which, the tombs are more plentiful than the previous entry and are more dangerous and puzzling. Underwater mechanics provide more variety in exploration and tomb design, however these underwater sections can be frustrating because of the piranhas and eels lurking beneath that cause nearly unescapable death if they catch up to you. Lara’s character and past is explored more with fun flashbacks and great story moments. The combat is largely unchanged from before, but this isn’t a problem as it was pretty good anyway, with the bow still being my go to weapon to make Lara even more of a badass. While the side missions and other characters you come across could be fleshed out and improved on, Shadow of the Tomb Raider is a great entry that makes me hope more games com in the future. I love Greek mythology so much, so I was incredibly excited to see the next Assassins Creed take place in Ancient Greece. The world is beautiful, from the mainland to the small Greek Isles, this is one of the best looking expansive open worlds ever made. Alexios and Kassandra are strong protagonists and the story of finding and reconnecting your family is engaging. While there are some repetitive side missions and content, they are generally of a good quality and the combat is still fun. I was hoping that there would be mythological creatures included and I was not disappointed. The encounter with Medusa or the Minotaur are unique and are some of the toughest encounters in the game. Beating the Sphinx at her own game by answering her riddles correctly was a particular highlight. Although the mercenary system was annoying and intrusive most of the time, Odyssey remains one of the best entries in the series. I have done a full review of the game, so please check that out. Now I know this game released in 2017 but I only played the definitive edition released on console in August. I’m a huge RPG fan and I loved the first game, but this entry improved on many aspects to make it one of the best old-school RPGs ever made. The cast of characters that you can recruit are all unique and at times hilarious. I thought that it would be difficult for a style of game like this to make its characters so likeable, but it proved me wrong. The combat once again is both strategic, unforgiving of mistakes and highly satisfying, particularly when you use the environment to your advantage. One of the best features of the game is the freedom it gives to the player in how you complete quests and objectives. The sheer amount of options for a single quest is incredible and a testament to the developers hard work and passion. If there is any fault I can say of this game is that it definitely isn’t for everyone. This game can be quite slow in certain parts and you need patience and an appreciation for this type of game to fully enjoy what this masterpiece has to offer. Also I wish they didn’t limit which characters could be with you after a certain part in the game, a minor point nonetheless. This game both surprised me and disappointed me in some aspects. I loved the original and John Marston as a character, and I thought it would be difficult for them to make anything better. I was proved wrong. Arthur Morgan has become one of my favourite video game characters of all time. He starts of pretty bland and I didn’t really like him at all, but small story beats and about a third of the way through was where the main story and Arthur’s character development really started to get moving. The stories and the characters in side and main missions are fun and varied. I will say that the subtle and gradual character moments/developments of Arthur are some of the best written I’ve seen. The main negative for me is Rockstar’s obsession with realism that is often misplaced and a hinderance to the pacing and mission structure. Why Arthur feels the need to put all his guns away on his horse except the original revolver you get is a mystery to me. Just let me keep the same two or three guns I want equipped on Arthur the whole time and if I want to change weapons, then I have to go to my horse. So much of the game is a passive experience while riding your horse that missions can get pretty boring pretty quickly. Yet with all this so called realism, the game lets Arthur keep a ridiculous stash of provisions on him with ease. If the realism and amount of time spent on your horse on the cinematic camera (while I go on my phone until I get to a destination) is cut back, this would be a masterpiece, but everything else makes this game still a true great one. Out of all the games this year, this would probably me my game of the year, as it was the most well rounded in all aspects compared to the others. This was my first God of War game and what an incredible, beautiful and memorable game it was. With a story that has room for both the small and subtle moments to large and dramatic set-pieces the series is known for. Both Kratos and Atreus are well-developed characters who’s noticeably strained and complex relationship brings a dynamic to the game’s story that is very refreshing. It helps that Atreus is a child character that for a rare time is actually helpful and likeable for the most part. The combat is highly responsive and is always satisfying, particularly the animations and sound design when throwing his axe. The world and its environments are varied and gorgeous, I spent too much time simply stopping to look around and off into the distance. The scale, level of detail is simply incredible made even more astounding considering everything happens without cutting to another camera or relying on loading screens. It’s a technical and narrative achievement that makes me look forward to future games in the series. Obviously these are just my opinions and I would love to hear your thoughts in the comments. What were some of your favourite games of the year? 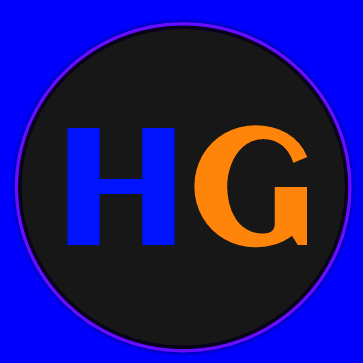 Thanks for reading and stay tuned for all things gaming.